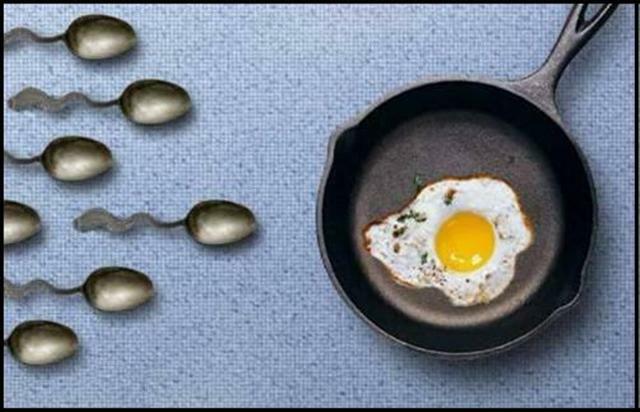 Ovulation – check!! | are you my moms? If you can talk plants into growing, you can talk your ovary into dropping an egg. That’s the philosophy we had all night as we kept staring at, talking to, and all but daring my ovary to release the only follicle it created this cycle. And what do you know? It worked!! This morning’s ultrasound showed that the egg released sometime last night. That’s the good news. Doc’s best estimate is that it happened sometime between 8-10pm. That’s the bad less good news. We were hoping for an early-mid afternoon ovulation, which would allow for more of Saturday’s sample to be viable. The later the egg released, the more we’re relying on Sunday’s swimmers to get the job done. The more we rely on Sunday’s boys, the greater the chance that we essentially wasted our money on Saturday’s. But we aren’t dwelling on that. At least, not yet. We’re still excited that I might be pregnant. I want to take a minute to rave about my doctor. At the beginning of our relationship, I wasn’t so sure I’d like her. I was sold on her by the 2nd appointment, despite her attempts to practice fencing maneuvers with her ultrasound wand. But this weekend my respect and admiration for her exploded. She has now reached full-scale superstar status in our house. Not only did she take the time to talk through all the options and odds yesterday (in the middle of her Sunday afternoon! ), she was genuinely thrilled today when she saw the ultrasound screen and was able to tell us that the follicle had ruptured. She laughed with us about our good luck charms and repeatedly told us how glad she was that we went through with the insemination yesterday. Even though she was clear that we took a risk, she was quick to point out that she has had pregnancies result from a single-specimen insemination cycle as well as a “double-pre,” which is what we did (unintentionally) this time around. This lady knows her stuff, and we definitely trust her to get us knocked up, even when my body gives her mixed signals. This attempt included a lot of good luck charms and strange coincidences. I’ve never been a very superstitious person but if we get a bfp 2 weeks from tomorrow, I’m going to have to change my tune. And buy a lottery ticket. The early lh surge happened the day after MKL’s birthday. This day was also the birthday of her grandmother, with whom she was extremely close. The night before the lh surge/trigger shot/iui #1, we went out for MKL’s birthday and she was given a baby doll as a pseudo-gag-gift. The doll came with us to all 3 appointments, along with a few other special items we’ve had with us throughout the journey. The date of specimen donation for the both vials we used this weekend is both MKL’s father’s birthday and the anniversary of the death of a dear friend of ours. The afternoon of iui #1, we had a visit from our friends, who brought with them their 6-week-old nephew. Surely holding a baby the day you’re inseminated is good juju. MKL keeps looking at me and smiling. Now that it has happened twice, I can say that this is my favorite part of the two week wait. This small window of time between insemination and progesterone treatment (meh…), is also the time when implantation could be taking place. So a) there’s the whole you-don’t-have-to-take-the-hormones-and-become-a-raging-beeeotch-yet-benefit and b) MKL seems keenly aware that at any minute she looks at me, I could be conceiving our child. She tells me she gets butterflies when she thinks about it, which is completely adorable and only makes me wish even harder for different results this time.